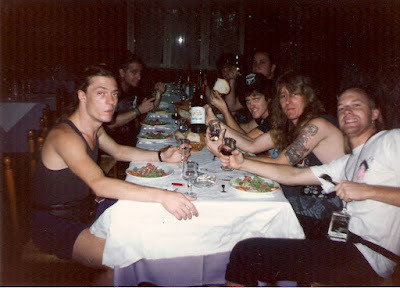 In 1989, I had two bands that I was managing...Sacred Reich and Atrophy. 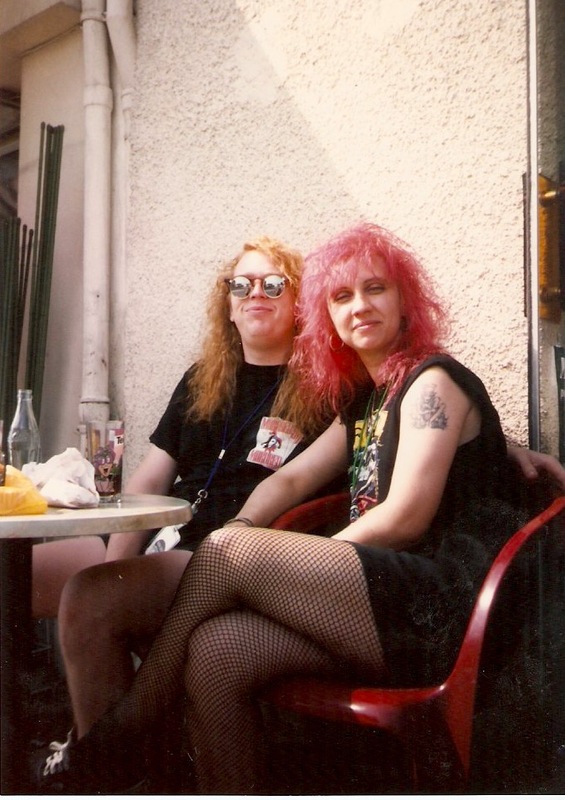 Sacred was born in my brother and my local Metal club, The Bootleggers, and I discovered Atrophy from a cassette demo tape called Chemical Dependancy. I absolutely loved them from the minute I heard it! They were from Tucson, Arizona, which fit my radius at the time, which made them even more appealing. I signed them with Holly Lane, the A&R at Roadrunner Records. 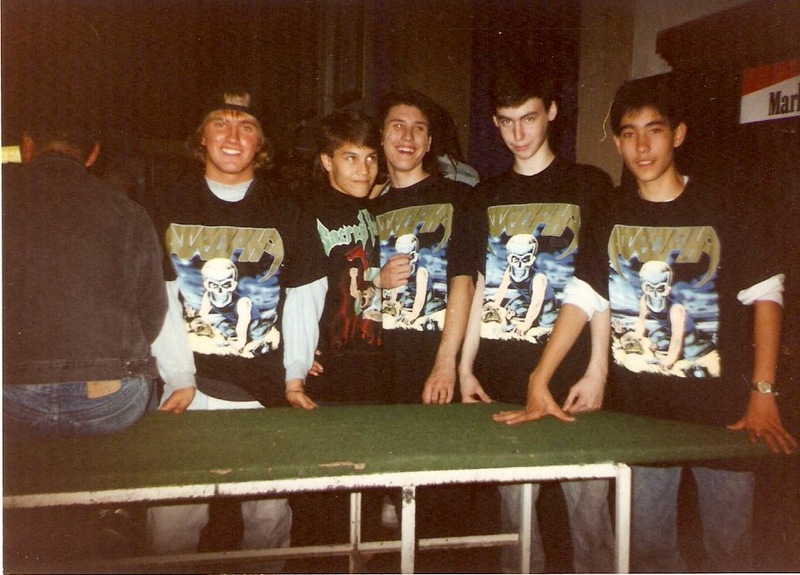 By the time Violent BY Nature (With Richie's first appearance in Metal, in the cover art, drawn by Paul Stottler), the second full length was released, they were the number one selling band at Roadrunner, selling over 40,000 units in one year. I had an idea to make a European run with Sacred Reich and Atrophy supporting, but I knew Atrophy would make approximately $50 per show, and not be able to get an adequate amount of tour support to finance their tour. Ah, the baby band's lament.... I formed the idea to have Atrophy be the crew for Sacred, in exchange for airfare, a lift on the bus, catering, and sharing gear. This worked out perfectly and we headed to Europe. 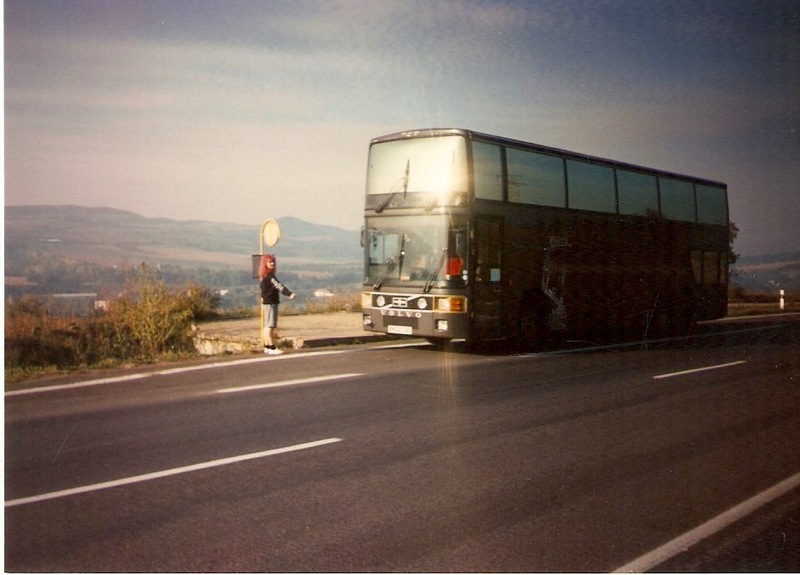 The tour was about 3 months in duration, if I recall, and included much of Eastern Europe, which was beginning to open up for shows. Keep in mind there were no cell phones, fax machines, pagers or wifi at that time. Every border had to be dealt with by border patrol searching the bus, producing your visas and God knows what other surprise would befall you. The only phones were pay phones with crazy coins and operators that didn't speak English. I remember the first time we crossed into Czechoslovakia. Greg Hall and I were so excited, we got out on the side of the road at a small restaurant and had a drink, bread and sausage. We were living the dream! Backtracking a bit, we entered Berlin for the first time also on this tour. 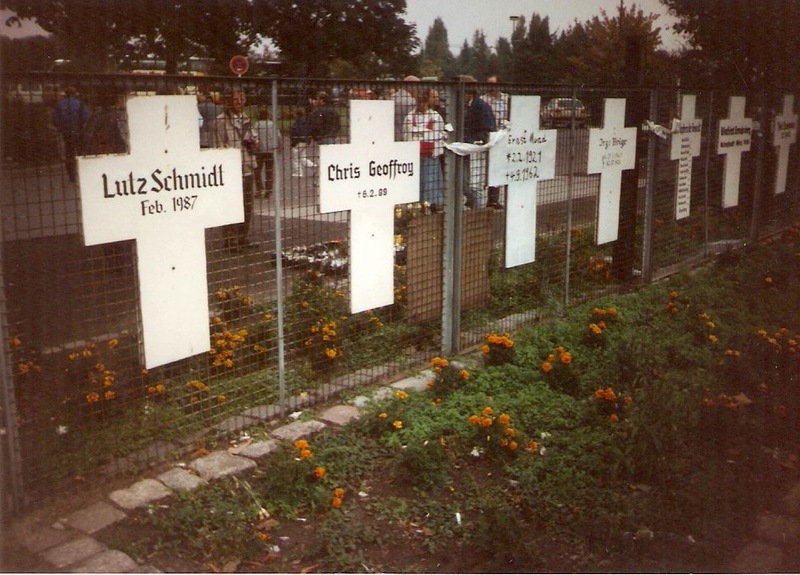 There was one highway into the city, from Western Germany, and it was so bumpy, the bus would shake and bounce the entire route. 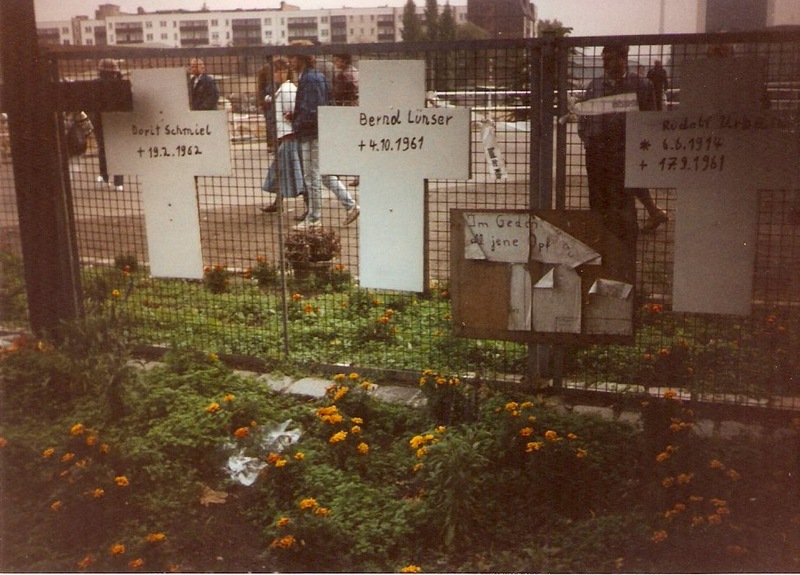 Checkpoints were empty shells on the side of the road, and parts of the Berlin Wall were still strong. It was a different Berlin than the modern city you visit now. I mentioned to our driver, Bill Leonard, that I had heard about a cemetery in Berlin, that held the remains of young people, teenagers, who had tried to climb the wall to freedom on the other side, but were gunned down by the guards. He knew exactly what I was talking about and took us there, to pay our respects. Young freedom fighters, warriors..
As we entered Yugoslavia, I felt my roots becoming sharply aware. The customs, the food, the architecture.....everything Mom had talked about. It was all real!! 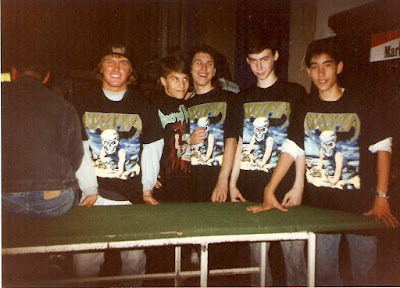 Months before, I had received a fan letter to Sacred Reich from a young man in Slovenia, named Gregor Musa. I instantly was excited to hold that letter in my hands. 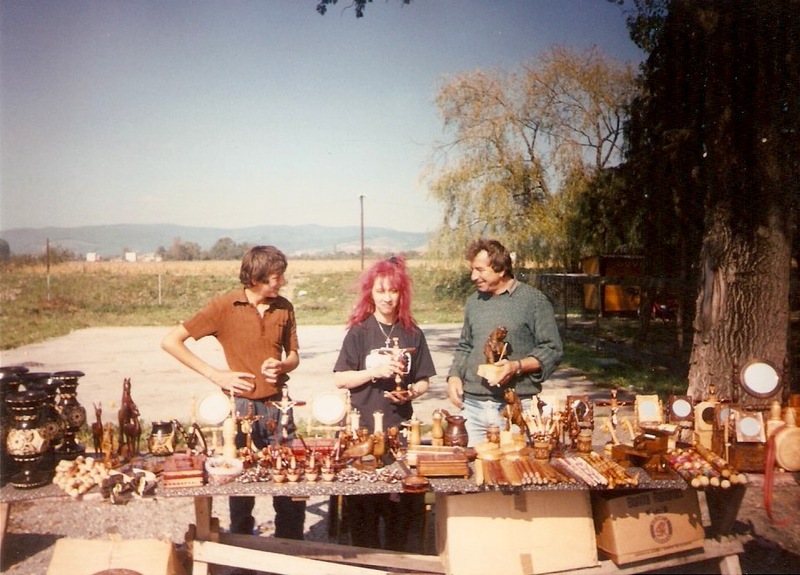 From him, I met a promoter who brought the tour package to former Yugoslavia. It was one of the most exciting times I entered a country. The country I knew so well!! I could smell the smells and see the people before I ever physically arrived.